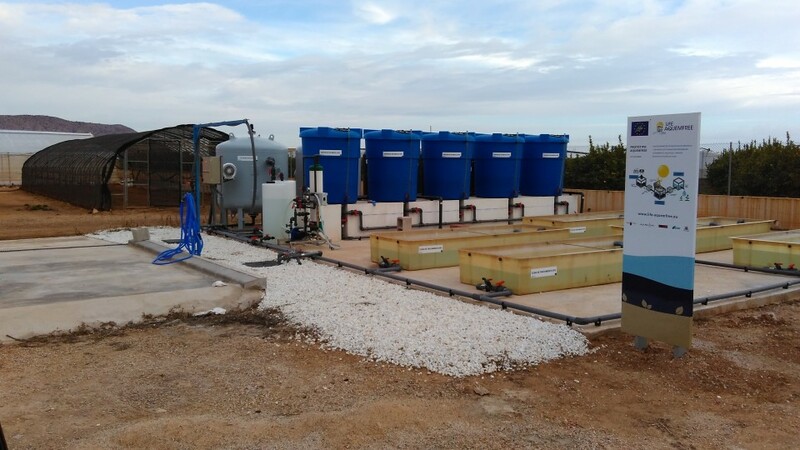 The aim of the Aquemfree project, which is co-financed by the European Commission’s LIFE programme, is in-farm decontamination using solar photocatalysis of waste water with pesticides from remnants, cleaning and rinses. Fenoll confirmed that initial tests involving different photocatalysis processes began in June of last year. They have been carried out using the prototype installed on the Finca Torreblanca farm located in Torre Pacheco (Murcia, Spain) and which belongs to the Murcia Institute of Agri-Food Research and Development (IMIDA). Fenoll also clarified that, despite the effectiveness of both treatments, the speed of the degradation process was greater in the tests using a combination of an oxidant and titanium dioxide (TiO2). In terms of disadvantages, Fenoll pointed out that the latter requires an ultrafiltration membrane in order to separate the particles in suspension in the titanium dioxide. As demonstrated in the model incorporated into the prototype, the membrane has proven to be effective. Last of all, Fenoll commented that, in the case of the prototypes due to be installed before long in the farms participating in the project, research will be carried out to determine if the quantity of UV radiation accumulated during the photoperiod can be used as an indicator of the time required for pesticide waste degradation in water used for cleaning and rinsing.